We are sometimes asked by our seller clients if we will be at the home to accompany all buyer showings. Our simple answer is “no”, but there’s a good reason for this and today’s post will explain why. You want the environment to be welcoming to a buyer so they have a pleasant and productive showing. They should be able to walk through a home and envision themselves living there. They will often talk amongst themselves or even openly with their agent about the good and bad features of any given home. Maybe they’ll feel so good about a particular house they’ll sit down on a couch and make themselves at home. The longer they stay, the better. If a listing agent is there, buyers will feel on edge and less likely to want to spend more time than necessary in the home. They will be guarded in what they say to each other for fear the other agent may relay it to the sellers. Overall, a listing agent present will make buyers feel uneasy as they are viewed as the opposition and simply not wanted there. A good listing agent will prepare in home marketing material to highlight the best features of a home as well as give information about the neighborhood and community. This allows the buyers to discover for themselves all the great things a home has to offer. The buyer’s agent will also offer insight and share their knowledge as well. However, NO ONE wants a pushy salesperson telling them why the home is right for them. They need to come to that conclusion on their own accord. At the end of the day, choosing a home is an emotional decision that cannot be forced. Think back to a recent trip you had at a department or furniture store. Have you ever wanted to just browse, yet an aggressive salesmen wouldn’t leave you alone. Annoying isn’t it? A buyer will feel the same way if the listing agent attends the showing. Having a listing agent at a showing may end up hurting the seller in the long run. To begin, unless a home is priced over a million dollars, it is highly unusual for a listing agent to accompany a showing here in Northeast Ohio. That being the case, what does it say about a seller who requires their agent to be there? That they are difficult? Controlling? What if your agent turns off the buyers? Perhaps the showing would have gone much better had your agent not been there giving the aggressive sales pitch. What about easy of showings? It’s hard enough to plan a showing around a buyers’ busy schedules. If the listing agent also has to be there, it makes things even more difficult. There is a good chance a seller will miss out on showings by requiring their agent to attend the showings. When it comes to selling your home, you need to think twice before instructing your listing agent to attend all showings as it is not in your best interests. Selling a home is a daunting task. It takes many steps to find that right buyer, and even more to get them to closing. Today, we are going to discuss the main reasons sellers fail to sell their homes. 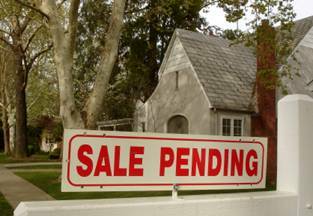 People think selling a home merely entails sticking a sign in your yard and entering it into the local multiple listing service ( MLS ), but it is much more than that. Selling a home is a complex process, one that consists of dozens of steps and a lot of preparation. It is a lot of work. Typically, about 55-60% of homes listed by an agent end up selling during their initial six month listing period. Those statistics may differ depending on the demand of the area in which you live, but the point here is there are no guarantees. So, it is critical to have a solid game plan before that sign goes up. The first step is hiring an experienced agent who has a proven track record and comprehensive marketing plan. Depending on the home, sometimes more work goes into staging ( preparing ) the home for the market than any other step of the process. If you are not familiar with the term Staging, here is a good link. Staging entails getting the home ready to be shown to buyers. This means getting rid of clutter, personal items, and neutralizing any strongly decorated rooms. How you live in your home is different than how you need to present it to the public. Also, with the popularity of the internet, how your home will appear in photos must be taken into consideration as well. Your first showing will be on line, so it needs to look as appealing as possible in the pictures. As we just mentioned, your first showing will be on line as that is the most popular way potential buyers look for homes. Therefore, having professional pictures is one of the most important things you can do, and something many agent don't offer their clients. A lot of sellers don't know any better and are ok with an agent using their iPhone to take pictures. Don't accept this. We encourage potential sellers to go on line to popular sites like Realtor.com or Zillow.com and check out the variety of pictures being used by agents. You should also check out the photos used by agents you plan to interview to make sure they are up to your standards. You will notice the homes with great pictures come across as more desirable. Nothing is less appealing to buyers than seeing pictures of homes that are dark and blurry. It actually amazes us that many well respected agents use mediocre photos to market their listings. This is a huge disservice to a home seller, so our advice is to make sure professional pictures of your home are being used. Pricing isn't just important, it's everything. If your home isn't priced correctly, buyers will buy something else. We understand that no seller wants to give their home away. Everyone wants the most they can get, and we don't blame them for feeling that way. I would want the same thing if I was selling my own home. In order to come up with a good asking price, go over statistics with your agent, compare your home to similar homes that have recently sold, and visit competing homes to see how they compare to yours. Overpricing a home will cause you to lose out on buyers and end up helping your competition. Whenever we see a home linger on the market for a long time, it is usually because it is not priced right. Selling a home can be a difficult and stressful process. If you avoid the mistakes that many sellers make, you will give yourself an excellent change for success. With limited inventory, buyers and their agents are scrambling to find homes for sale. Homes listed "by owner" are a tempting option to buyers, but are they really a great choice? To begin, the purpose of this post isn't to be negative about those who sell by owner. It is their right to do so and we respect that. We do want to educate buyers though on this segment of the market and what is means to them should they entertain buying a home listed by the owner. Let's start with the basics: Someone who tries to sell their home without using an agent is termed a "FSBO ( pronounced Fizbo ) - For Sale By Owner". It is legal for someone to do this and represent themselves in the real estate transaction. There are a few reasons why someone would want to sell by owner. The main reason is to save money. In the past, most "by owners" were limited in their ability to market, usually opting for a yard sign. Today, there are more options for them. With the popularity of the internet, someone selling by owner now has the ability to advertise on popular sites, like Zillow. Therefore, it is not unusual for a buyer to see these types of homes listed for sale while doing an on line search. Most "by owners" are willing to pay a buyers agent who brings them an offer. A GOOD OPTION FOR BUYERS? The problem is that most "by owners" are not overly motivated. Basically, they will sell if they get their desired price. Otherwise, they will likely just stay in their home. This dynamic certainly doesn't favor a buyer as they simply have no leverage here. This situation leads to one where a buyer will likely have to overpay for a home, sometimes well above market value. Also, since most sellers lack experience dealing with the complexities of a real estate transaction, the process can be quite trying at times. Buyers need to consider if it's worth overpaying and jumping through hoops for the right home. In our personal experience, many of our clients who have purchased "by owner" have admitted to overpaying. However, they justified the price because they fell in love with the home. There is nothing wrong with looking at a home listed "by owner" provided you have realistic expectations of the possible end result. While many areas are still a tad slow, there are others that are incredibly active. Some suburbs, and more specifically, certain price points in these suburbs, are so hot they are seeing bidding wars. Both buyers and sellers need to know how to approach a seller's market if they plan to achieve their goals. In basic terms, a seller's market means there are more buyer's then available listings. While the number of homes for sale can be easily defined and found on just about any home search site, the amount of buyers in a given price point is a little trickier to figure out. As agents, we are privy to figures given by our local office. So, I know statistically that the amount of showings on our properties is up 25% from a year ago. Furthermore, I know from the current listings that we have that if I listed a home for between $300,000-$400,000 in certain suburbs, I will likely get 15-20 showings in the first week that it's on the market ( and likely a quick sale ). So, with our finger on the pulse of the local market, we are aware that some areas are starting to favor the sellers. 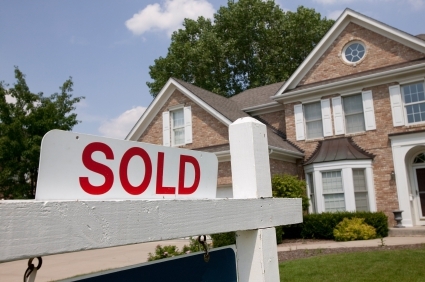 With that being said, we have put together some helpful hints to surviving a seller's market. 5. Be Smart - Just because the market has improved doesn't mean you should be cocky and arrogant. The market has indeed shifted and if you aren't prepared, you could be left out in the cold. For the first time in a while, we are not talking about low home values. We are actually describing the number of homes currently for sale in the local Cleveland real estate market. Can you imagine what it's like buying a home in Beachwood? There are only 33 homes for sale in the entire city, meaning there's only a handful in any given price point. Low inventories have actually been a problem for a while now and will continue to present a challenge for anyone entering the real estate market this year. The most important thing to do if you are buying a home this year is to get pre-approved up front. Waiting until the last minute to get your financing in order may be too late. Limited inventory causes competition ( bidding wars! ) and without a firm pre-approval, you will be negotiating from a weakened position. Hire a buyer's agent. A good agent will be aware of homes that are available but not yet on the market. Agents are very resourceful and can work their network to find homes for their buyers. If you are selling this year, get your home on the market as soon as possible. Right now you have less competition and, if priced properly, could really benefit. Make sure your home shows well and is priced properly. Low inventories bring a new dimension to our local real estate market. However, compared to the rough years we saw during the recession, this is a good problem to have. Selling a home is a big decision that comes with a few headaches. While we certainly aren't discouraging anyone from listing their home, especially since the market has improved, we just want you to know what to expect as you open up your home to local real estate agents and the public. When we meet with sellers, we are very up front about the selling process so there aren't any surprises. One of the most frustrating things for sellers is the actual showing process. In order to have the home ready to show, a lot of time and effort is made in terms of cleaning and getting everyone out of the home. Nothing is more aggravating to a seller than having all of this effort go wasted. Then you may have cases where a buyer or their agent uses the bathroom and forgets to flush the toilet, or worse, their little kids make a mess. Also, while it hasn't happened to us very often, things do get broken. Sounds like a lot of fun, huh? We haven't even discussed all the strangers coming through your home during an open house. We'll cover that another day. Overall, selling a home is a bit chaotic. However, it is usually a necessary evil so you can move forward with the next chapter of your life. Proper planning and having a great agent can make a huge difference. Despite what consumers may think, open houses are less effective at selling homes than in the past. In fact, less than 1% of home buyers actually found their home through an open house. (*statistics provided by NAR, 20112 profile of buyers and sellers. ) However, there are still benefits of having them that could make it well worth the effort. Buyers today see less value of an open house. Before the "net", the easiest way for a buyer to see the inside of a home was to actually go in person. Therefore, attending a Sunday open house was critical. In fact, this is how we bought our current home. We looked in the Sunday newspaper, saw which homes were open, and went to see them. Now, with so much information available on line, potential buyers are doing a ton of research on homes using their laptops or even smart phones. They are basically eliminating homes they see on line that in the past, they would have likely seen by attending an open house. The role of the listing agent acting as the sole "gatekeeper" of getting into a home has also changed. The evolution of buyer's agency, where a buyer can have their own representation, makes buyers less dependent on going to a Sunday open house. Also, the lifestyle of today's buyer is very hectic and many don't want to spend their time driving around seeing homes. Therefore, the buyer's agent ends up doing a lot of the leg work and screening of homes in advance. When a home is deemed worth a look, the buyer's agent schedules the showing for a day/time that is convenient to the buyers, not necessarily on a Sunday. Open houses still have their place. From a listing agent's perspective, they owe it to their sellers to make sure they are doing everything possible to market their home. Even if only a few people show up, it's still better exposure for the home then doing nothing. A listing agent can also grow their business by having open houses. Many buyers who actually attend a Sunday open house are not quite ready to buy. They are more casual lookers, typically 6-18 months away from making a buying decision. However, they will buy at some point and this is a great opportunity for the agent holding the home open to earn new business. Basically, the open house is like bait on a hook to reel in buyer leads. It's also good for a busy buyer's agent. If an agent is with one set of buyers on a Sunday, and another buyer wants to see a particular home, sending them to a home that is open makes things convenient. Also, although it's hard for me to believe, some people simply don't like real estate agents. There are a small percentage of buyers who will refuse to work with a buyer's agent, but they still want to see homes. These buyers end up utilizing the Sunday open house to find a home and work directly with the listing agent. For the most part, an open house won't likely sell that particular home. However, they still serve a purpose for acting as a catalyst to bring buyers and sellers together. 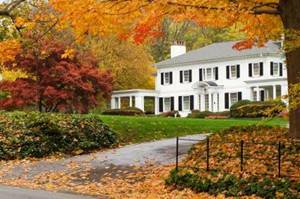 Here is our monthly real estate market report for homes in Solon OH. First, we will provide a list of all home transfers for last month. Then, we will give market statistics of sold homes for January, 2013, with a comparison to the previous year. Finally, we will provide an analysis of the market, including discussion about where we are headed in the future. Beginning of the year statistics can often be inconclusive and sometimes misleading. There is actually a great deal of activity in general and competition over homes is increasing. The numbers above really don't tell the entire story and you shouldn't read too much into them. If you take a look at our 2012 Year In Review For Solon Real Estate, you will get a much better feel for the overall market. Just because we saw less sales and at a lower average price point last month than the previous January doesn't mean much right now. We anticipate another good year in 2013. Being able to sustain positive momentum throughout the entire 2012 year shows that we are coming off the bottom and beginning to finally see improvement. While prices aren't near the highs of 2005-2006, we are starting to see a slight bit of appreciation. I can't remember seeing so few homes on the market. Granted, it's only winter when inventories are typically low, but we have had this problem for over a year. Buyers are literally sitting and waiting for new homes to come on the market, and willing to make an offer if they love the home. While this certainly bodes well for sellers., we are certainly not declaring a "seller's market". Buyers are still feeling the sting from the recession so are proceeding with a bit of caution. They will pay a fair price, but not more. Overall, a nice home priced fairly could easily sell within the first 30 days, with multiple offers not unusual. We anticipate sales to be about where they were last year, possibly even a little lower. This is more a function of so few homes being on the market than a lack of demand. Interest rates creeping upwards during the year certainly won't help, but they are still extremely low and shouldn't affect things too much at this point. If there is one take away from this report, it should be that we need more homes to sell. Anyone that has been putting off selling their home, waiting for the market to get better, should sell now. Rates aren't getting lower and demand is the highest we've seen in a long time.